Recently proposed neural network architectures, including PointNets and PointSetGeneration networks, allow deep learning on unordered point clouds. 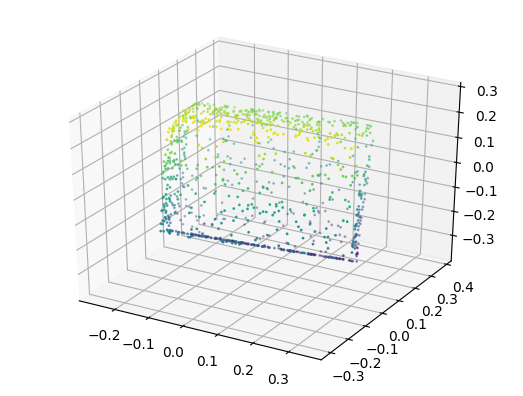 In this article, I present a Torch implementation of a PointNet auto-encoder — a network allowing to reconstruct point clouds through a lower-dimensional bottleneck. As loss during training, I implemented a symmetric Chamfer distance in C/CUDA and provide the code on GitHUb. 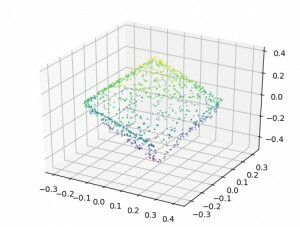 In several recent papers , researchers proposed neural network architectures for learning on unordered point clouds. 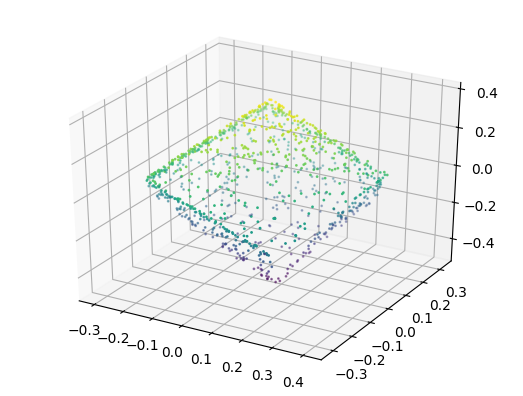 In , shape classification and segmentation is performed by computing per-point features using a succession of multi-layer perceptrons which are finally max- or average-pooled into one large vector. This pooling layer ensures that the network is invariant to the order of the input points. In , in contrast, a network predicting point clouds is proposed for single-image 3D reconstruction. Both approaches are illustrated in Figure 1. (a) Illustration of the PointNet architecture for shape classification and segmentation as discussed in . (b) Illustration of the point set generation network as proposed in . Figure 1 (click to enlarge): Illustrations of the PointNet and point set generation networks. Note that the code was not thoroughly tested; and as discussed below, training is not necessarily stable. 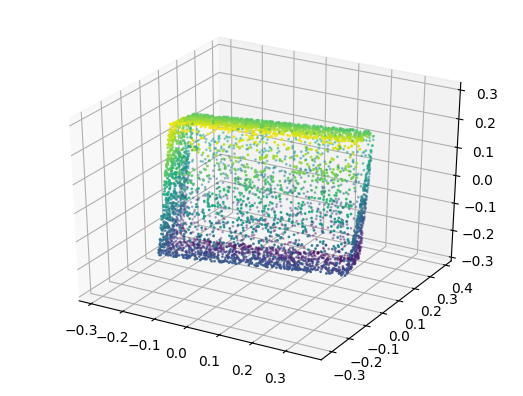 In practice, the point-wise function $h$ can be learned using a multi-layer perceptron and the symmetric function $g$ may be a symmetric pooling operation such as max- or average-pooling. -- Input is a N x 3 "image" with N being the number of points. 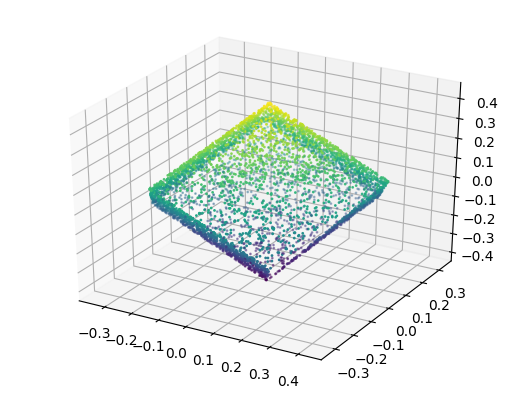 -- The first few convolution layers basically represent the point-wise multi-layer perceptron. -- Average pooling, i.e. the symmetric function g.
-- Can be replaced by max pooling. model:add(nn.SpatialAveragePooling(1, 1000, 1, 1, 0, 0)) -- Note that we assume 1000 points. 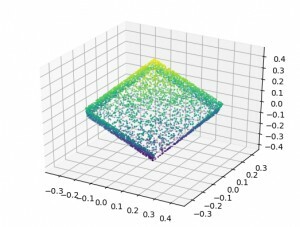 Note that the point-wise function $h$ is implemented using several convolutional layers. With the correct kernel size, these are used to easily implement the point-wise multi-layer perceptron with shared weights across points. As a result, the input point cloud is provided as $N \times 3$ image; in the above example $1000$ points are assumed to be provided. As symmetric function $g$, an average pooling layer is used; a subsequent convolutional layer inflates the pooled features in order to predict a point cloud. As alternative to the squared distance used above, any other differentiable distance can be used. A full example can be found on GitHub. Figure 2 (click to enlarge): qualitative results of targets (left) and predictions (right). Note that we predicted $1000$ points; for the ground truth, however, we show $5000$ points. 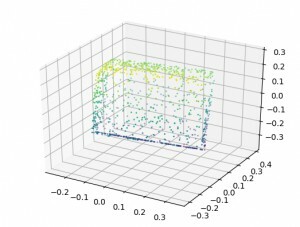 Figure 2 shows some qualitative results on a dataset of rotated and slightly translated cuboids. In general, I found that these auto-encoders are difficult to train. For example, when adding a linear layer after pooling — to compute a low-dimensional bottleneck — training becomes significantly more difficult, such that the network often predicts a "mean point cloud". Similarly, the network architecture has a significant influence on training.